Medium - $40.99 Large - $40.99 X-Large - $40.99 Only 6 left! Being a bounty hunter can take up your whole life, you'll barely get a moment to yourself. It is a job that will take you to all parts of the galaxy but it also means that once you get wind of one your bounties being near it means you have to act on it. 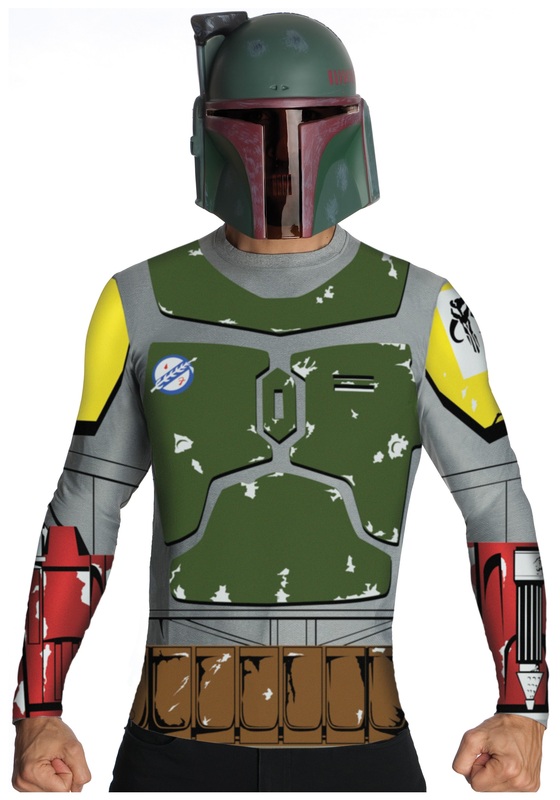 The best way for Boba Fett to deal with this issue is to have a quick change set of armor and helmet. This worked out great for him when had to make the jump from working at Jabba's palace as a bodyguard to meeting Darth Vader to discuss finding the Millenium Falcon. Now you can make the quick change into armor just like Boba in this inexpensive costume.